Travel Blog Exchange (TBEX) is the world’s largest gathering of travel bloggers, writers, new media content creators, and travel industry professionals. Each year, TBEX partners with host destinations in North America, Europe and Asia and brings together the travel community to learn, network and do business. At this year’s North American conference, TBEX announced that it would make its first foray into Africa. TBEX Africa will be held in late July 2018 in Harare, Zimabawe, hosted by the Zimbabwe Tourism Authority (ZTA). Needless to say, as an avid traveler and lover of the African continent, I was thrilled at the announcement. Sadly, my excitement was not shared by all. Almost immediately there was a barrage of complaints by several bloggers who believed that TBEX’s decision to partner with the ZTA was unethical and irresponsible due to Zimbabwe’s history of human rights violations and corruption. In their opinion, TBEX collaborating with the ZTA is akin to aiding Zimbabwe’s oppressive regime. One even suggested that conference attendees could be at risk since their names and information would be shared with the government. To fully understand the controversy surrounding Zimbabwe, and why I disagree with the TBEX Africa detractors, some historical context is in order. Zimbabwe is a landlocked country in southern Africa, bordered by South Africa to the south, Botswana to the west and southwest, Zambia to the northwest, and Mozambique to the east and northeast. Harare is the capital and largest city. Like most African countries, Zimbabwe has a colonial past. In 1890, white English and Boer colonialists entered Rhodesia (as Zimbabwe was named before independence) and seized land and cattle belonging to the indigenous black population. Within 30 years, the 3% white minority controlled 75% of the economically viable land, while the 97% black majority resided on crowded reserves largely comprised of unfertile land. The land imbalance led to several ensuing wars which lasted off and on for nearly 100 years. In 1980, the United Kingdom formally granted independence to Zimbabwe. As a part of the negotiated deal, the British and American governments made commitments to assist the Zimbabwean government financially with land reform efforts, which under the new constitution would take place in a willing seller, willing buyer context. That same year, Robert Mugabe was elected as Zimbabwe’s first prime minister and he eventually became president in 1987. Mugabe has remained in power for 30 years. There have been widespread reports of human rights violations in Zimbabwe. According to Human Rights Watch, police use excessive force to crush dissent and violate the basic rights of citizens, journalists, and government opponents. Amnesty International’s 2016/2017 report outlines numerous human rights violations committed by Mugabe’s Zimbabwe African National Union – Patriotic Front (ZANU-PF) party , including harassment, intimidation, assaults, arrests, protest bans, abductions, and torture. To be sure, these oppressive actions are problematic and incompatible with the democratic values the U.S. vows to hold dear. But in the height of hypocrisy, the U.S. government recently signed a $110 billion arms deal with Saudi Arabia, a country with a long and well-known history of similar human rights violations. As documented by Human Rights Watch, Saudi Arabia has engaged in unlawful airstrikes in Yemen, some of which may constitute war crimes; repressed pro-reform activists and peaceful dissidents, sentencing them to long prison terms; discriminates against women and girls in most aspects of daily living; and perpetrates systemic violations of due process and fair trial rights of adults and pubescent teens; and performs mass executions, including public beheadings. Similarly, the United Arab Emirates and China, both countries with longstanding and serious human rights problems, rank among the top 30 trade partners with the U.S.A. It’s difficult to understand, much less defend, such blatant double standards. What is clear is that history has shown that sanctions and boycotts are largely ineffective in changing a form of government. Instead, boycotts and sanctions punish innocent people who are often the targets of oppressive regimes. Zimbabwe is no exception. In 2013, the ZANU-PF party admitted the unemployment rate was 60%, though by other estimates it’s as high as 95%. The World Bank estimates that 75% of the population lives in poverty and a majority survives on less than two dollars per day. Rather than cripple the Zimbabwe government, U.S. sanctions have further impoverished the Zimbabwean people and made them less likely or able to fight for regime change. Sanctions have also turned some into harsh critics of the United States. 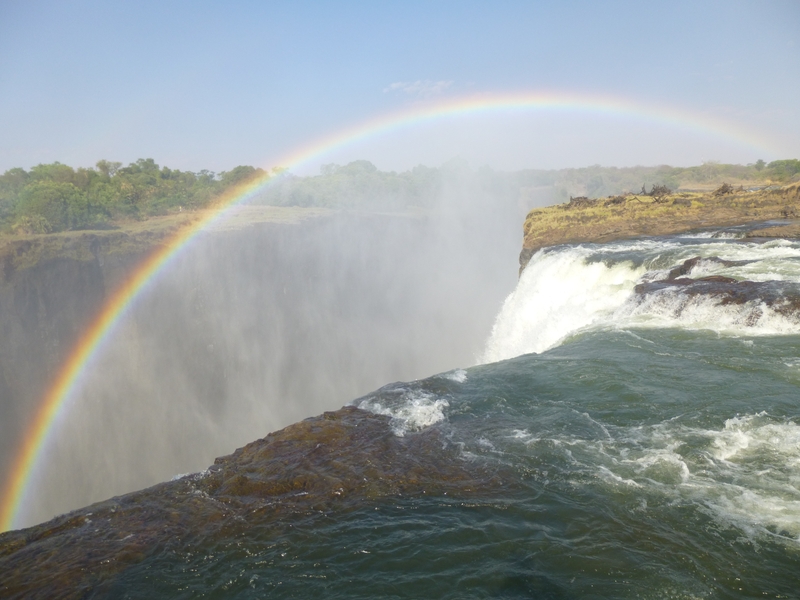 I was blessed to travel to Zimbabwe in 2013 and experience its beauty and splendor firsthand. I checked off a bucket list item at Victoria Falls (aka Mosi-Oa-Tunya Falls in the local Lozi language) and swam in the Devil’s Pool at the edge of the Falls. It was an exhilarating, once in a lifetime experience and probably my favorite travel adventure to date. 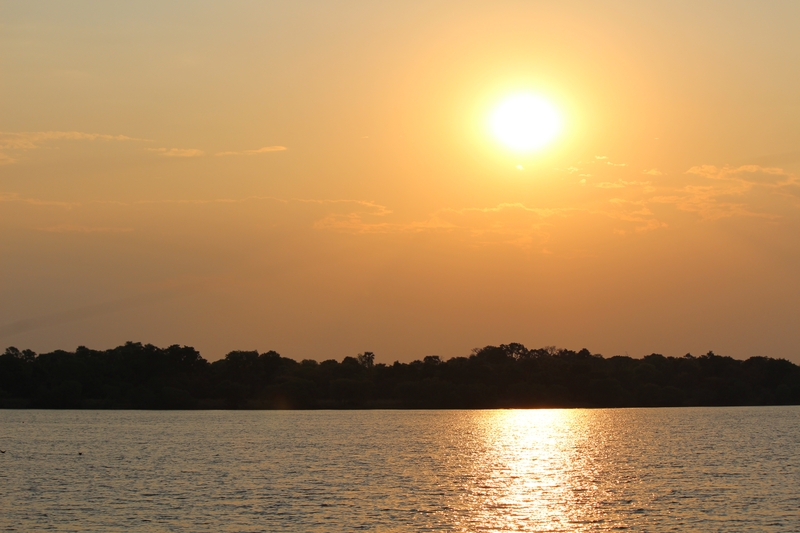 I drank Zambezi beer while cruising on the Zambezi river at sunset and watched the blue sky transform into fiery bursts of orange and red like I’ve never seen. And I marveled as I watched warthogs freely graze outside my hotel room and saw a mother baboon groom her baby as I walked past on the sidewalk. 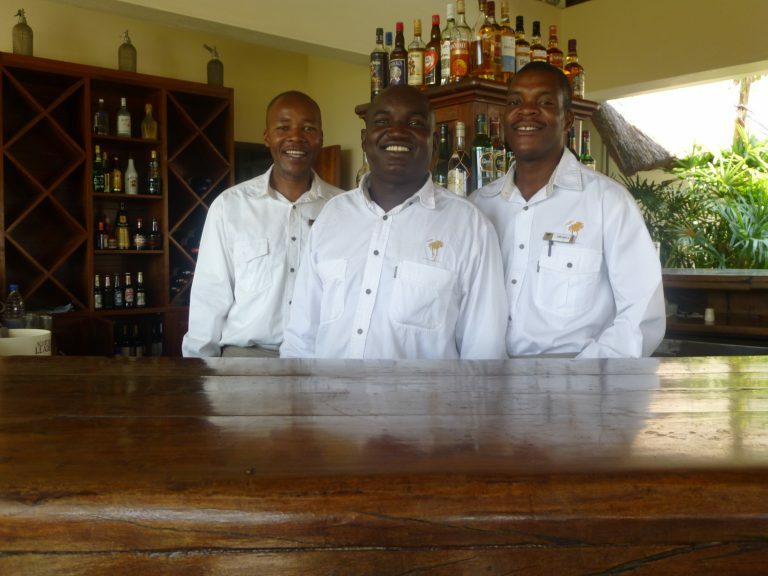 But I also saw how boycotts against the Zimbabwe government have decimated the tourist industry. The first sign was at my hotel, where I never saw more than five people at the pool, restaurant and bar. As I typically do when I travel, I chatted up with the hotel staff about their life in Zimbabwe and the tourism industry there. My waiter shared that he regularly works 12 to 14 hour shifts and walks 2.5 hours each way to and from work. On the day we talked, my $10 tip was the first he’d received that day. He mused that his life was not easy, but he considered himself lucky because at least he had a job unlike so many others. I also talked to several street vendors who shared their difficulty selling their wares and earning a living due to the lack of visitors. These are the real life consequences so often lost or ignored in political debates. In the case of Zimbabwe, boycotts also have other collateral effects. Zimbabwe is one of Africa’s most hardest hit countries when it comes to illegal poaching of big game, as some locals resort to poaching in order to feed their families. The absence of tourists also means less funds for wildlife conservation and more reliance on legal big game hunting to make up for the shortfall. In short, tourists provide security for Zimbabwe’s people and its abundant wildlife, because they deter poaching and hunting. Zimbabweans are warm, kind and proud people and they’ve paid a heavy price for the political chaos of the last 17 years. They deserve the opportunity to show off their country to conference attendees, and to also share their culture and heritage, as well as their tales of tribulation and triumph. They are my primary reason for attending and I will be there to support them. Secondly, Africa has some remarkable bloggers (and aspiring bloggers) who rarely have the opportunity to attend TBEX in North America, Europe or Asia due to the time and expense involved in traveling. Having the conference in their backyard will afford them the opportunity to learn and network with other bloggers and industry professionals, and to gain exposure to a wider audience. In turn, the travel media community can become better informed about their countries and the complex issues they face. Ideally, it will lead to collaborations, both to promote the tourist attractions but also to brainstorm on the hard hitting issues presented by the situation in Zimbabwe and the continent as a whole. Lastly, Zimbabwe is a beautiful country with an exhaustive list of attractions and activities. From waterfalls that span two countries to Chinhoyi Caves, ancient ruins, balancing rock formations, national game parks, bustling outdoor markets, and a modern capital city, there is something for everyone. And for the adventurous, thrill seeker types, there’s white water rafting, bungee jumping, ziplining, a bridge swing, a bridge slide and helicopter rides over the Falls. Furthermore, because Zimbabwe, Zambia and Botswana share borders, it is relatively easy to visit three countries in one trip. In the past, visas were an impediment because each country required a separate visa, which was an added hassle and expense. However, the countries recently re-introduced the KAZA Uni-Visa, a 30-day joint visa which allows visitors to freely travel between Zimbabwe and Zambia and to take day trips to Botswana via the Kazungula border crossing, where the borders of Zimbabwe, Zambia, Botswana and Nambia meet in the middle of the Zambezi River. The cost is an affordable $50. TBEX Africa will present the chance for not just Zimbabwe, but for the entire southern Africa region to display its magnificent and diverse people, cultures, landscapes, and tourist attractions. I’m excited for the region, as well as the conference attendees who’ve never been to the continent. They are in for a treat. Do you plan to attend TBEX Africa? Why or why not? Share your comments below. The historical context here is so very important, and I especially appreciate you highlighting the double standards and hypocritical stance so many have taken on this issue. I am so incredibly excited to visit, my first time. And I really, really agree on the opportunity that this is for local bloggers as well, many whom I know are excited to attend and network as well. Great read! Yes, I plan to attend TBEX Africa! I’ve been to S. Africa twice and was anxious to find my way back to the continent to explore the region deeper. 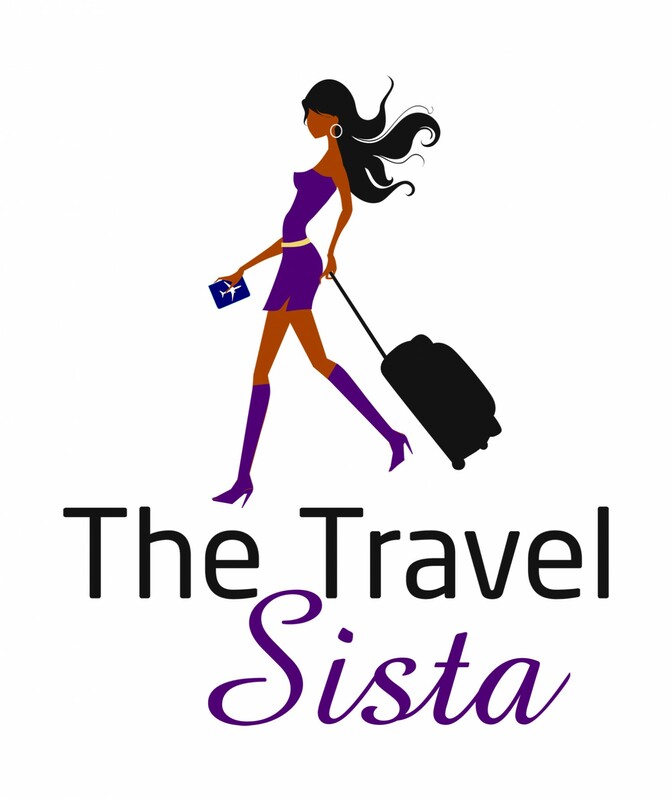 I’ve created travel videos and blogs, but more so as a “tourist” of sights to see and things to do. After reading your wonderful blog post, I now see a need to find a way to collaborate with the residents of Zimbabwe. The wheels in my head are turning. Thanks for the thought-provoking post!! Hey! I am not going to TBEX but I will be visiting Zimbabwe next month on a trip. I really enjoyed reading your perspective and after a long time grappling whether or not I should go, I’ve made the decision to. I agree that the people who suffer most are every day people who have nothing to do with their government. Going to Zimbabwe does not condone what Mugabe has done — and it’s possible to tell stories of Zimbabwe while still acknowledging the wrongdoing. I also think the people who are hypercritical of those visiting Zimbabwe do not take the time to truly assess their own travel history. How many blogs are coming out about how amazing India, Cuba, Thailand, UAE, The Philippines are? And rarely do you see criticism. Yet these countries are not without humanitarian crimes of their own — few countries totally are. Your point about wildlife was a new one I hadn’t considered yet makes total sense. Thanks for sharing your ideas!